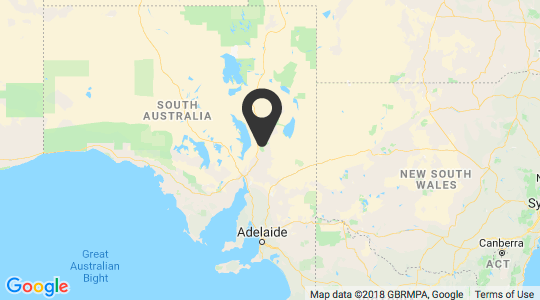 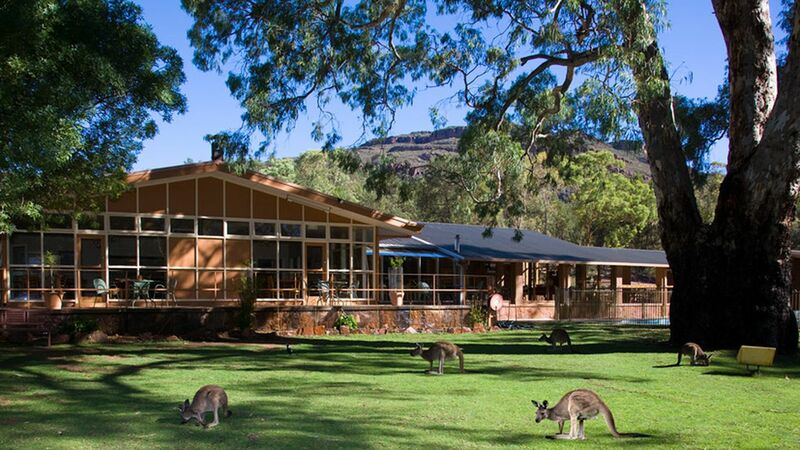 Wilpena Pound Resort is the only accommodation located within the Ikara Flinders Ranges National Park, 430km north of Adelaide. 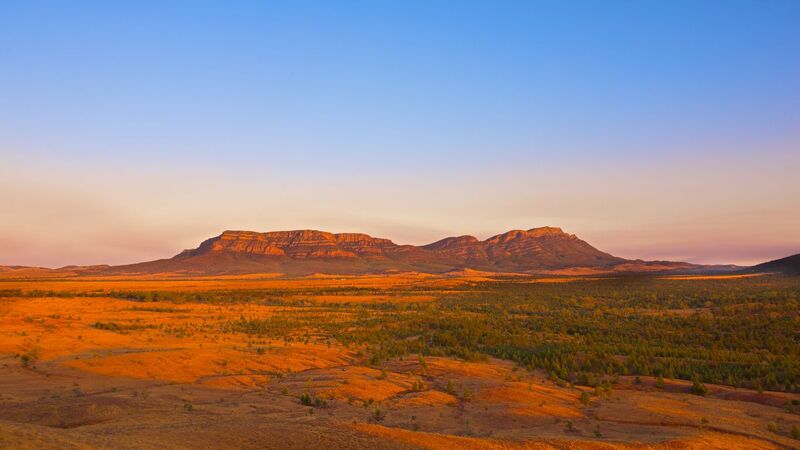 This extraordinary landscape is 800 million years old and has been home to Adnyamathanha people for tens of thousands of years. 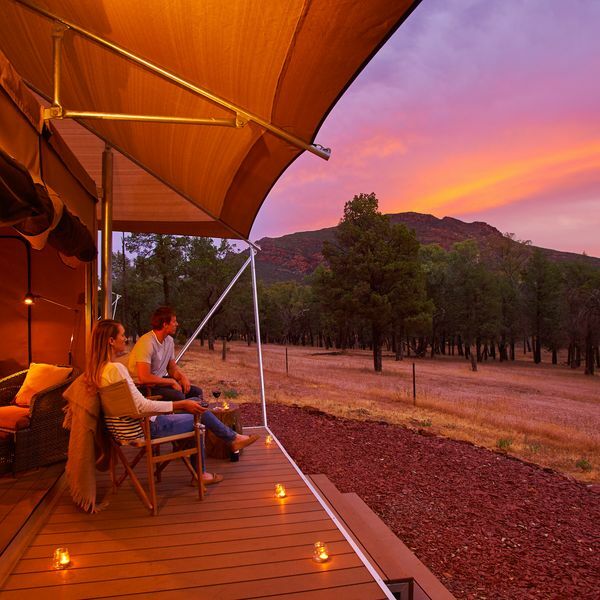 Enjoy a haven of outback hospitality with 60 hotel rooms, 15 glamping safari tents, a picturesque campground, National Park Visitor Information Centre, restaurant, bar/bistro, swimming pool and general store. 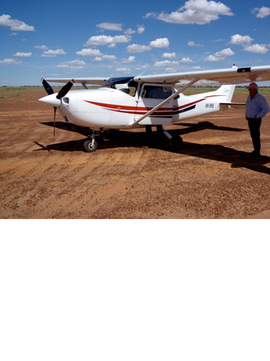 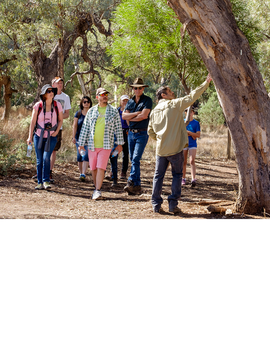 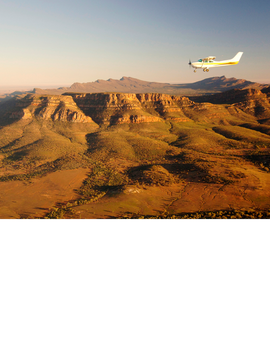 There is so much to see and do with a range of 4WD tours, guided Aboriginal cultural walks, nature and bush walks, and our ‘must do’ scenic flights over Wilpena Pound and the Flinders Ranges. 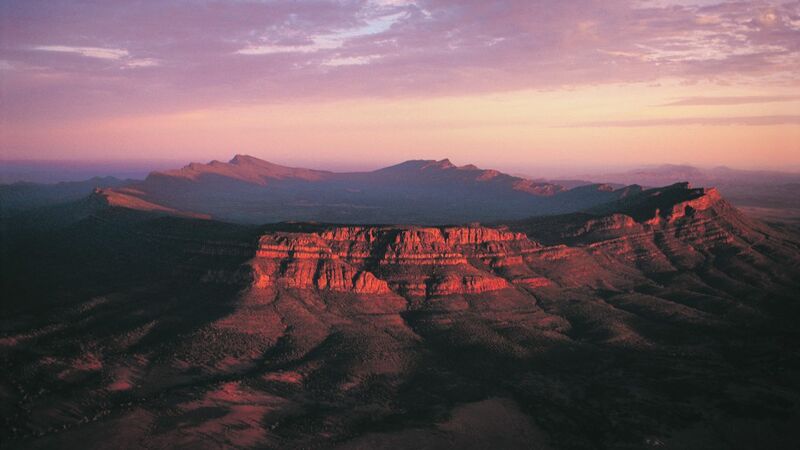 Visit us in the South Australian outback and soak up the incredible beauty of one of the earth’s oldest landscapes. 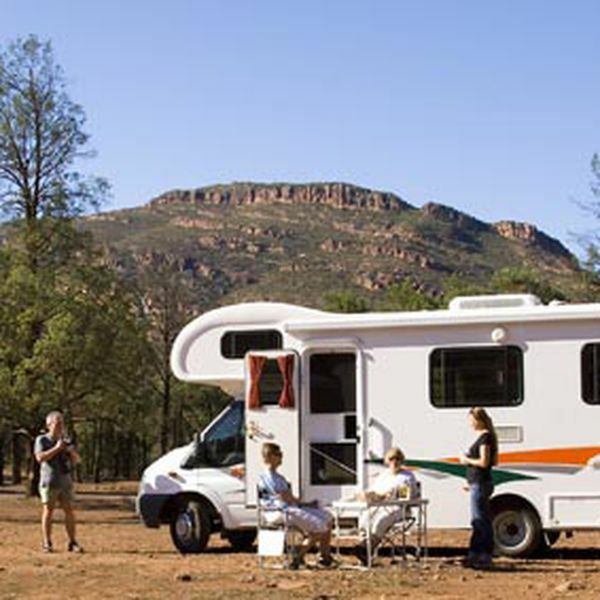 Modern amenities, general store, petrol. 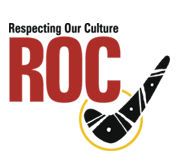 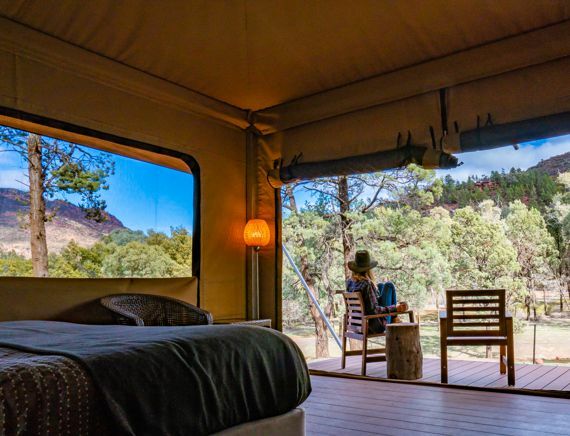 Sign up to receive our latest SPECIAL OFFERS in your inbox. 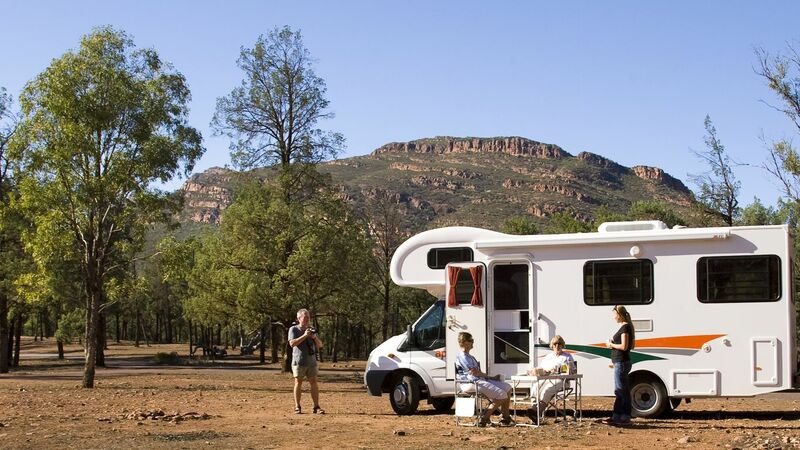 Our best deal yet! 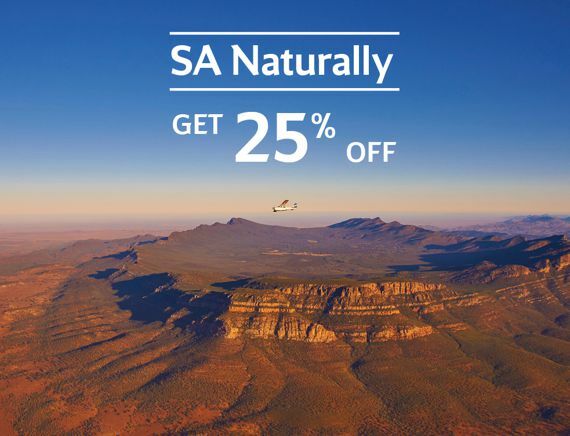 Stay 3 nights and 25% off. 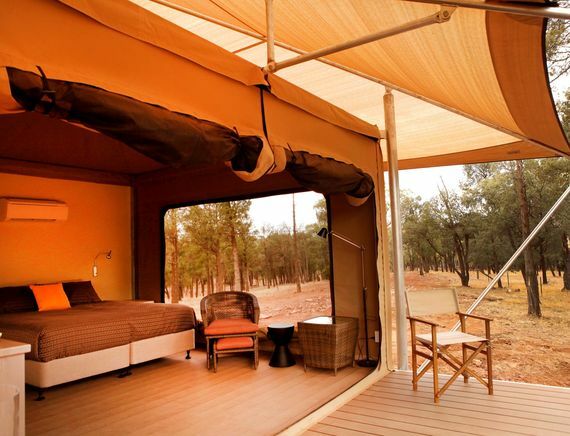 15 premium Safari Tents offer outback luxury overlooking Wilpena Pound, set amongst river red gums and surrounded by native wildlife. 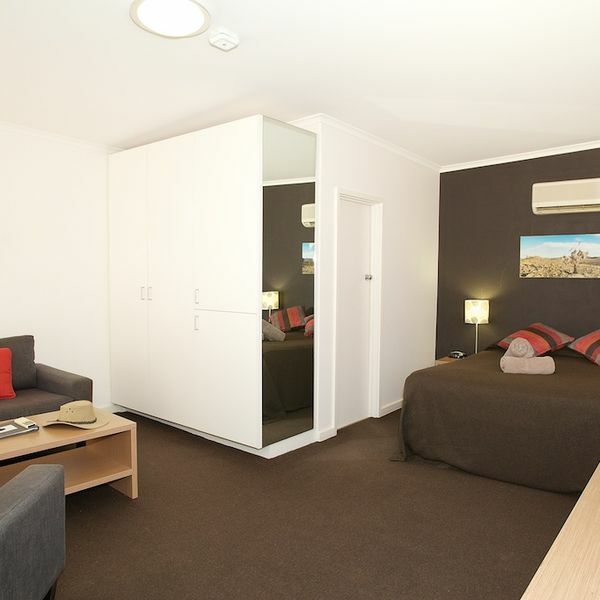 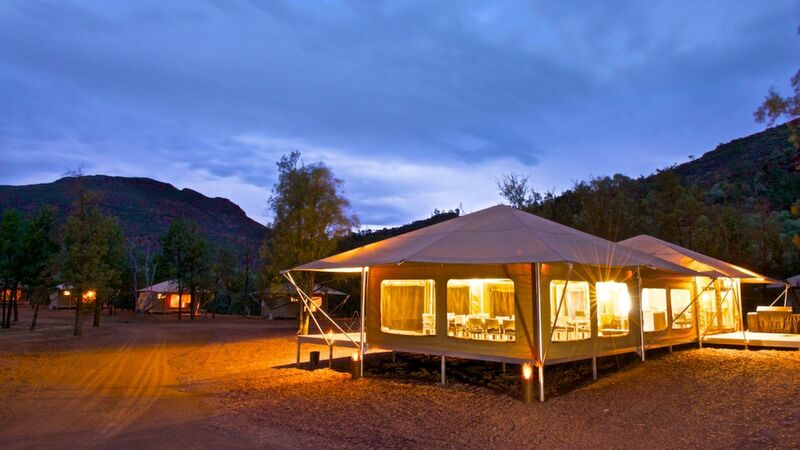 3 nights at Wilpena Pound Resort including meals, tours & scenic flight. 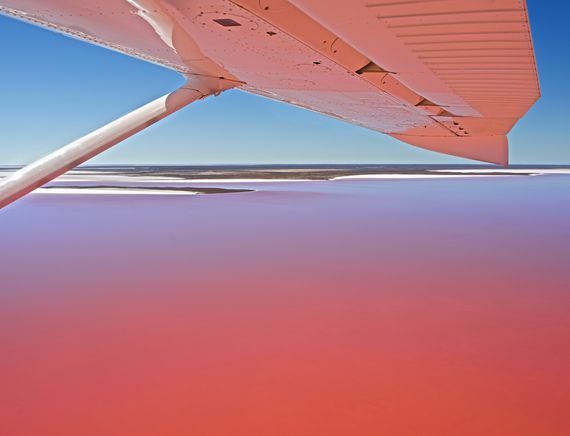 Marvel at the expanse of Lake Eyre as it experiences unprecedented high water levels. 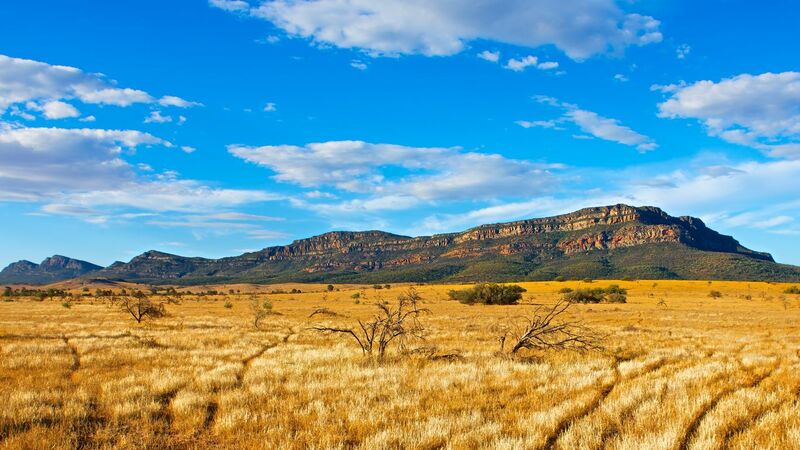 Land at Muloorina Station, a remote 400,000 hectare property south of the lake.